To delete your developer org, go to administration [Setup] to search for “Company Information”. 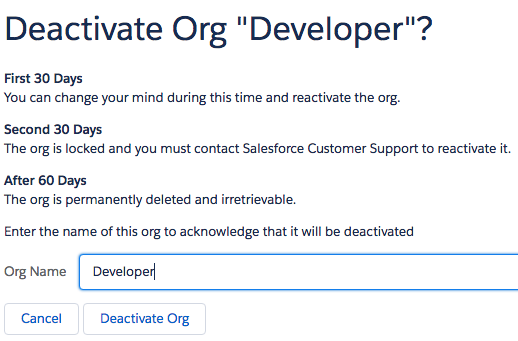 There is a [Deactivate Org] button in this configuration page. The permanent delete takes 60 days. You may reactivate within 30 days and contact support after 30 days but within 60 days. I have click on deactivate on 2018/9/1. I will update information on 2018/10/31.